Staying around Siam has it’s perks. You get good shopping and food within walking distance. There is Central World and Platinum fashion Mall on one side. Siam Paragon, Siam Square, and MBK on the other. 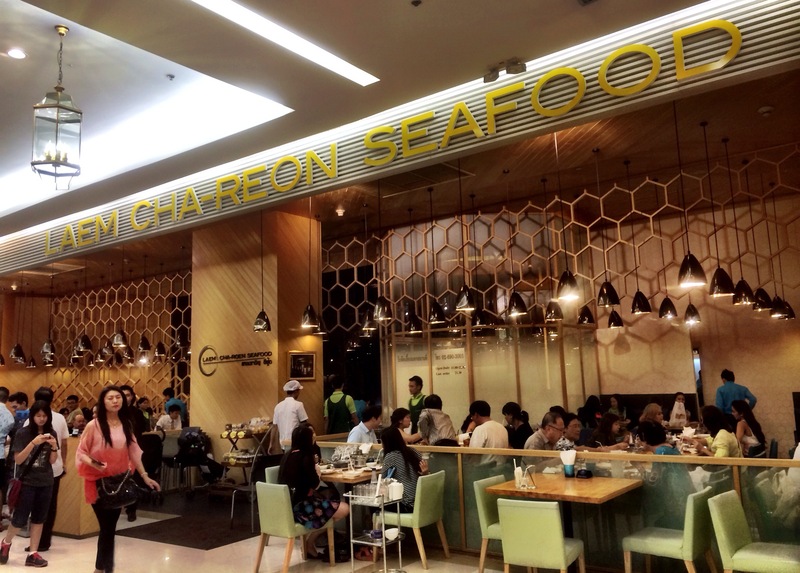 Since we were just staying next to Siam Paragon, most of the food this trip were from there. 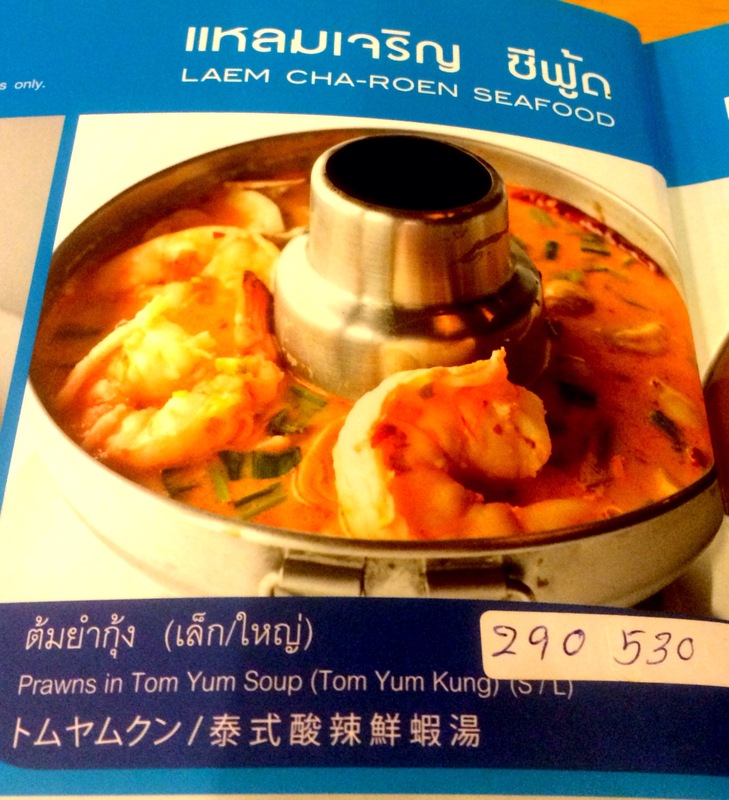 Heard a lot about Laem Charoen and so we had dinner there. This place was very popular, glad we called to make reservation. We were seated within 10min upon arrival. We finished at about 9pm and there were still people streaming in. There were so many dishes to choose from but as we were a party of 2, could not order much. They had all sorts of seafood and different cooking styles for each type and they all looked good. We wanted to try mantis prawn but they were sold out so we tried the prawn. 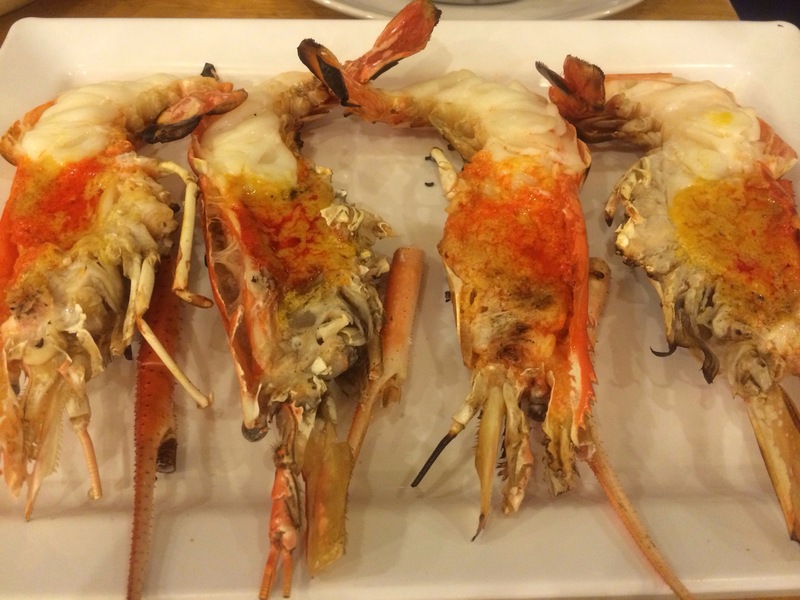 They cost quite abit, 1090 baht for 2 grilled prawns. 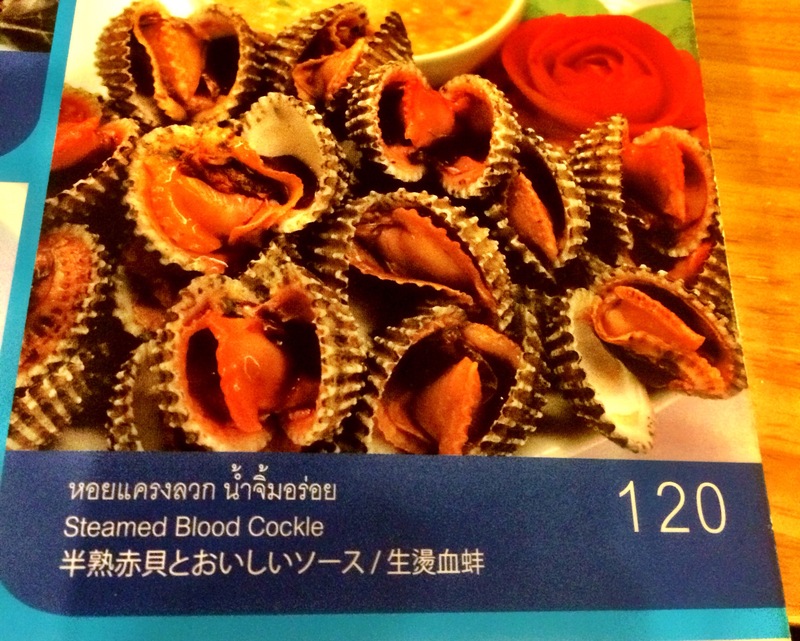 But they were so delicious because of the creamy and fragrant prawn roe. 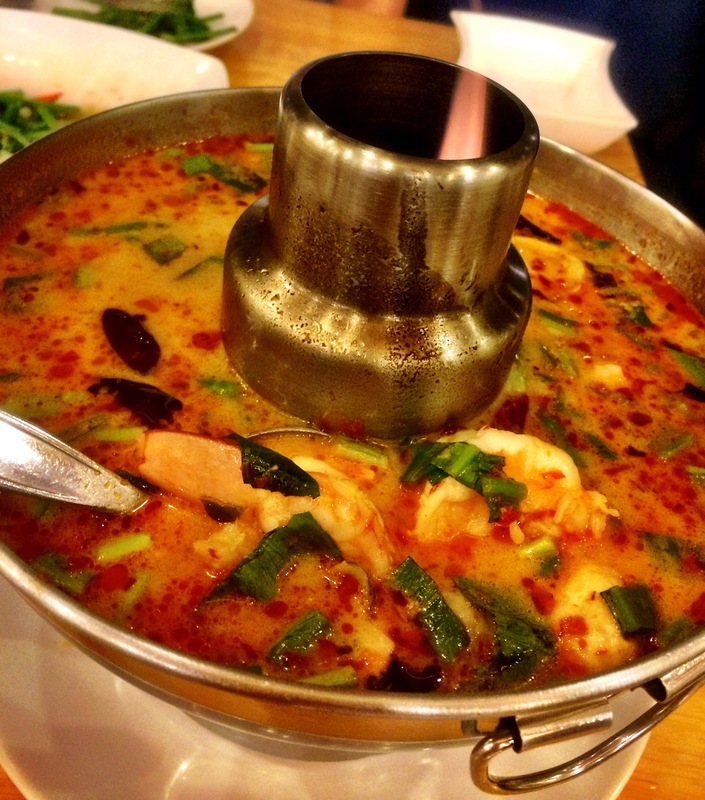 The next dish was tom yum soup. It was a little sweet and therefore not my type. I’d prefer savory soups. But it was still tasty, spicy and coconuty. 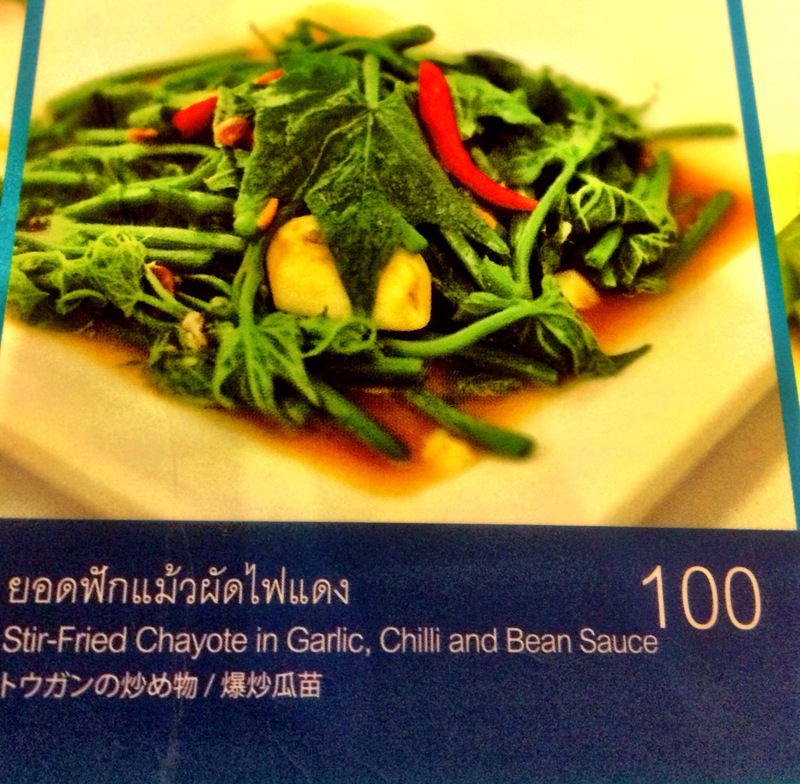 We ordered a small portion at 290 baht. Next we had a vegetable dish. 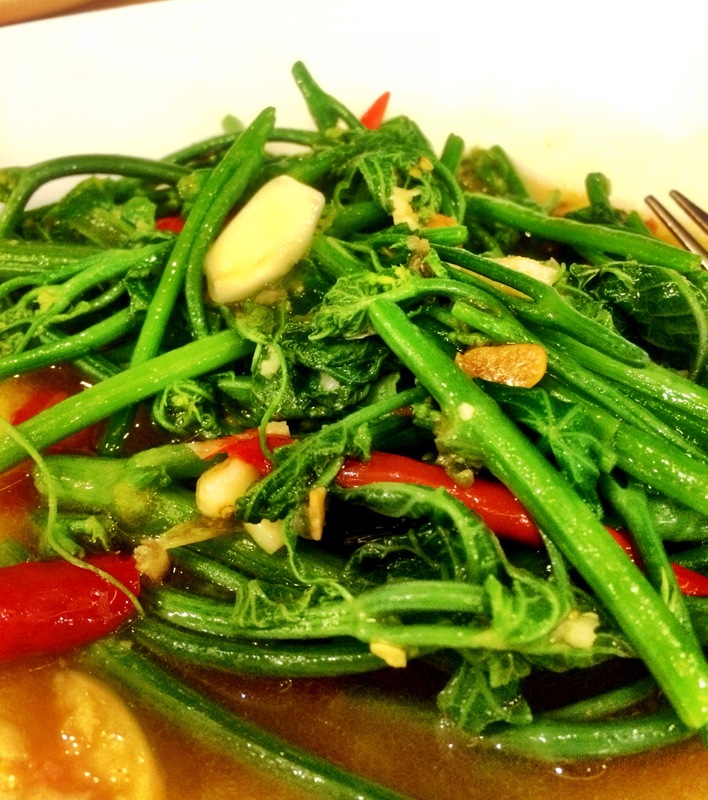 This vegetable is not common or unavailable in Singapore. I tried this in Taiwan and loved it and am glad they have it too. 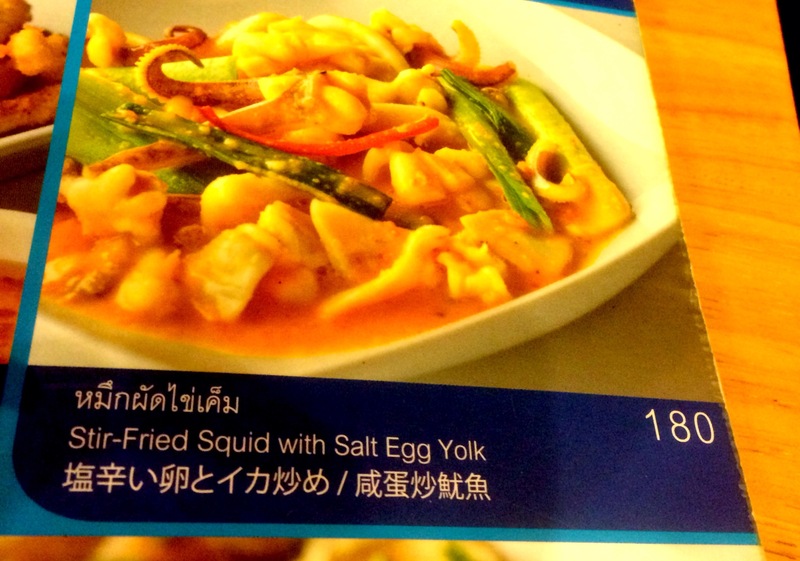 Egg yolk squid was next. This dish was so delicious! 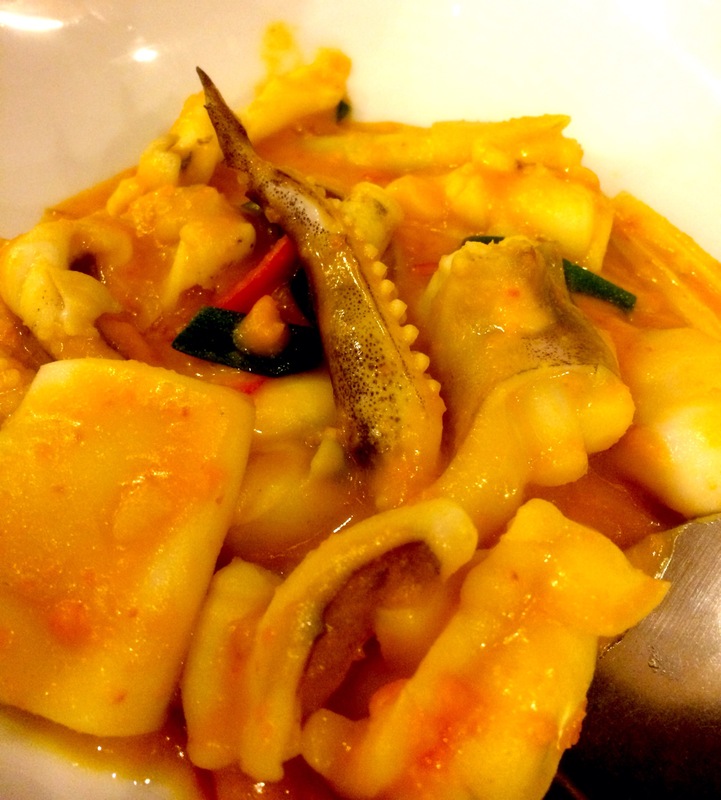 The golden sauce coating the perfectly cooked squid… Yums! 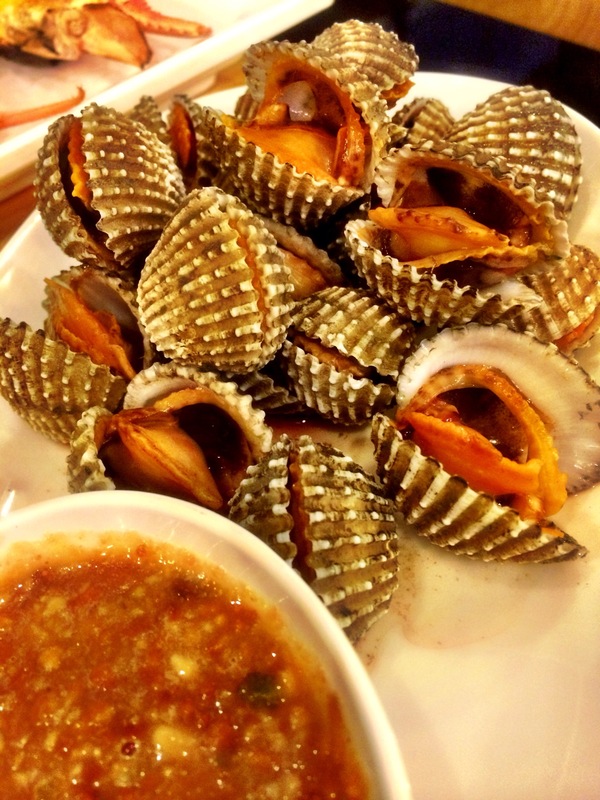 The last dish may be disliked by many but personally I love cockles. They were still a little raw upon serving and there was a peanuty sauce for them. The dip was savory, slightly creamy and tangy. It went very well with the cockles.